This review is a year past due, but wanted to let others know what a wonderful time we had. The first thing we did was snorkeling. Me, my husband and four kiddos ranging in ages 5-16 went. We had a blast. The water was so blue yet not too deep that the kids didn’t feel uncomfortable while snorkeling. On another day, me and my husband went on the dolphin cruise. We absolutely LOVED that! Didn’t get to see a lot of dolphin’s, but did see some. But even if we hadn’t seen any it wouldn’t have mattered. I’m hoping to do this again on our next trip to Fort Walton! We would like to thank you and your crew of the Kokomo. It was a very nice trip, we all enjoyed it very very much. Your crew treated everyone very nice and we never did ‘like’ for anything while we were out on your boat. If anyone’s hand was not holding something someone was checking if they needed something. We again would like to thank you and your crew for a very nice evening. We went on the Kokomo today and had an awesome time. 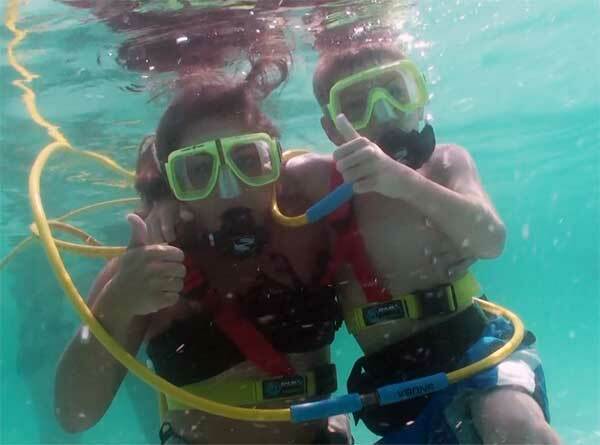 Destin Snorkel is a first rate operation. The crew was fabulous!! We were lucky enough to see a playful dolphin do “tricks” for us. Next time we are in Destin we’ll be back to make more memories. We went on the Sunset Dolphin Cruise with your Company today, and we had the MOST TERRIFIC time!! Our Captin Chris and Shipmate Erik, were SO much fun, and AMAZINGLY Funny!! It was the best money we have spent while on vacation, these two guys were TERRIFIC!! Destin Snorkel was one of the highlights of our trip. The crew was excellent & my 5 yr old took to the water like a fish. Thanks so much for the awesome sunset, shelling and dolphin cruise! We had an amazing time! I just wanted to give you guys a big THANK YOU for the awesome snorkeling adventure this past Sunday. My husband and I had a blast and couldn’t think of a better way to spend our 1 year anniversary! We’ll definately be coming back next year! Thank you so much for a great sunset cruise/dolphin watching adventure. My friends and I were there on Saturday this past weekend celebrating our birthday’s and it was great. We did the Snuba Trip today and it was the best. The crew was super nice and the expierence was awesome. I recommend this for anyone coming to visit. My sons and I really enjoyed the trip and are looking forward to a return dive!! Thanks so much for a wonderful adventure! 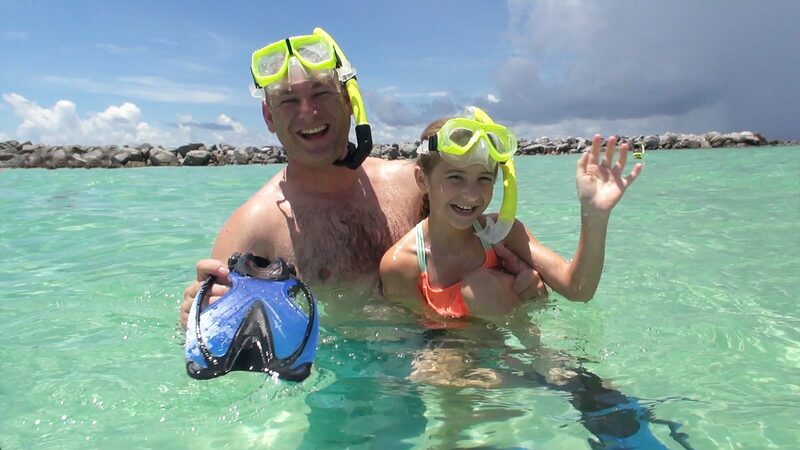 Our all day snorkel tour near the jetty was a perfect way to spend our day in Destin. Your staff was fabulous–ready to provide all the help and guidance we wanted and then provided discreet supervision. A real bargain and definitely a trip we will recommend to our friends in Arkansas! I just wanted to say thank you guys so very much. My daughter and I had a blast snorkeling today. I orginally was worried about taking my three year old snorkeling but the crew made it so easy and fun for us both. The Reef Runner was by far the highlight of our trip to Destin. This is a must for the family! Thank you again for the wonderful memories I will cherrish forever!